Global aviation uniform supplier catering to the needs of airlines around the world. Our airline and aviation solutions cater to the needs of flight deck, flight attendants and ground staff, ensuring a stylish and professional look along with a perfect fit and comfortable wear. We develop custom solutions, from new fabrics to tailored details, and services to meet individual client needs – as well as provide uniforms from our stock program. 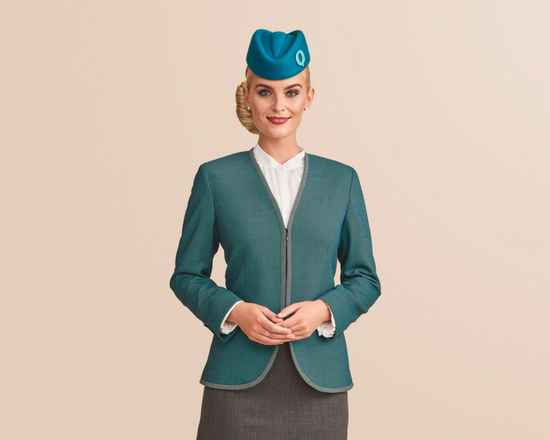 All our uniform packages come with personalization options, allowing airlines to match uniform appearance to brand guidelines, colors and corporate identity. As one of the leading airline uniform suppliers, we know that all airlines are different and require different solutions – and we will guide you through the entire process, from design drawings and prototyping to individual fittings and final uniform. Uniform fit is everything. A good fit allows the flight team to focus on the passenger experience. We travel to client facilities to conduct fitting sessions of flight deck, cabin crew and ground staff employees, resulting in happy uniform wearers and a comfortable yet professional fit. To accommodate individual needs, we offer our clients several shipping options, from large shipments to a client uniform center to individual shipping to designated employee pick-up stations. Following delivery, we assist with supply chain, updates and alterations to be your preferred airline and aviation uniform supplier. 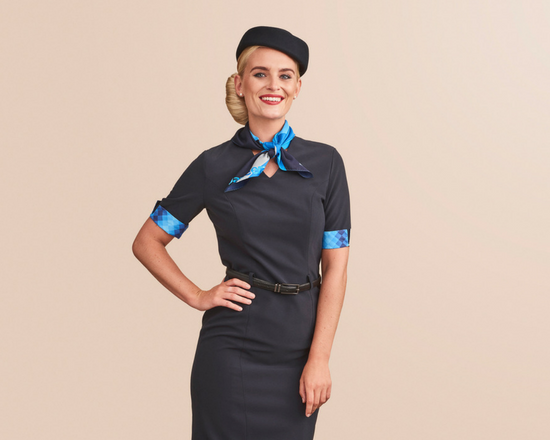 Flight attendants are the symbol of the airline they represent and our solutions cater to every uniform need, from a stylish look to a perfect, comfortable fit. Ground staff is the first point of contact for passengers and uniforms must be easily identifiable, as well as feature the desired look, and characterize your brand and reputation.